Department of Neurosciences and School of Medicine, University of California, San Diego, California, U.S.A.
With the development of more effective headache therapy, headache sufferers are becoming more educated and are seeking physician advice for pain control. The magnitude of headache and its impact on quality of life and work productivity is significant. With the introduction of subcutaneous sumatriptan in 1993, physicians entered a new era of headache management. In 2003, the International Headache Society (IHS) formulated a revised classification scheme for headaches (1). This classification scheme serves to standardize research and treatment protocols. A complete listing of the individual headache classifications may be found in this encompassing publication. In this chapter, the evaluation, workup, and treatment of primary and secondary headache presenting to the otolaryngologist's office will be reviewed. Headache syndromes are classified as primary or secondary. Primary headache syndromes are those in which no underlying organic pathology exists. The most common primary headache syndromes include migraine with and without aura, cluster, tension-type, and analgesic rebound or medication overuse headache (MOH). Secondary headaches account for 2% to 3% of headache complaints received by physicians. These disorders arise from an underlying organic etiology such as systemic disease, vascular malformations, or structural causes. One popular patient complaint is of "sinus" headache. A recent article reviews the literature on sinus headache and finds that patients presenting with a complaint of "sinus" headache actually have a 58% to 88% incidence of migraine-type headache (2). Recognizing the diagnosis of migraine in these cases increasingly falls on the otolaryngologist. Multiple over-the-counter sinus remedies effectively relieve migraine symptoms by providing vasoconstriction of medium bore arterioles, thus reinforcing to the patient the idea of sinus pathology. As migraine often presents with nasal congestion, a systematic approach to the diagnosis and treatment of migraine is necessary. This approach is discussed elsewhere in this text. A systematic approach focusing on a complete history is recommended initially. At the University of California San Diego (UCSD) Headache Clinic, a patient's first contact is devoted to an in-depth review of the history. A headache questionnaire (Appendix 1) is utilized to elicit historical features of the headache and to help guide the examiner in the determination of whether the headache is of primary or secondary etiology. The 10-page questionnaire elicits such information as age of onset, characteristics of pain, associated features, triggers, and whether the pain has changed in character or intensity. Important historical information includes family history of headaches and whether the headaches are progressively worsening. Sudden onset of severe pain with change in mentation or otherwise focal neurologic exam would lead the examiner to consider secondary headache etiologies such as subarachnoid hemorrhage, meningitis, or mass lesion. However, the patient who presents with recurrence of severe headaches that have occurred intermittently for years would point the examiner to a primary headache syndrome such as migraine, cluster, or tension-type. Most commonly, the headaches will be of intermediate severity and have developed subacutely. A complete history of prior headache experience is necessary to identify whether the patient has, in fact, suffered from a primary headache disorder in the past, and whether this presentation may be a recurrence of the same. Examples include the resurgence of migraine in a woman in her perimenopausal years, which has features of tinnitus and vertigo, but no true pain. This is termed acephalgic migraine and responds to migraine therapies, often including a low-dose estrogen patch for a few months. By far, in most instances of a patient presenting with a complaint of headache, the underlying etiology will be nonorganic (primary). The most common primary headaches a physician will see are migraine with or without aura, cluster, tension-type, and analgesic rebound headache (MOH). Migraine without Aura. These headache episodes, formerly known as common migraine, are defined by specific criteria set forth by the IHS (1). Patients must fulfill two of the four characteristics of Group A listed below and fulfill one of the two characteristics of Group B to satisfy diagnostic criteria. Migraine with Aura. Migraine with aura, formerly known as classic migraine, is defined as headache that meets the criteria listed above and is preceded by a 15- to 20-minute episode of visual or sensory aura. These auras represent a cortical spreading depression and may be of several types. Teichopsia are described as brightly colored flashes of light or rippling images that begin in the corner of the visual field and spread, often in a crescent pattern. Fortification spectra are sharply angled lines coalescing to resemble the architectural ground plan of a fort. Sensory auras are described by patients as parasthesias that classically involve the arm and face. Other symptoms that comprise aura may include unilateral weakness, aphasia, and mental slowing. Treatment. Treatment of migraine begins with determining whether a preventa-tive medicine should be utilized. If a patient will be using abortive medications more than two to three days per week, a preventative medicine is recommended in order to lessen the chance of MOH. p blockers, tricyclic antidepressants (TCAs), valproate and topiramate, as well as calcium channel blockers are the most widely used prophylactic medications. Counseling the patient to maintain good sleep hygiene, exercise aerobically regularly, and avoid food triggers is another effective strategy to decrease headache frequency. Abortive medications include NSAIDs, tramadol, ergots, and triptans. Avoidance of narcotic use as a routine abortive medication is recommended. Tension-type headaches are commonly seen in clinical practice and are often difficult to differentiate from the milder forms of migraine. They may occur episodically with a frequency of less than 15 days monthly or chronically with a frequency of 15 or more days monthly. Sensitivity to light or sound is not found in tension-type headaches and is used in clinic to differentiate this form of headache from migraine. Treatment. Episodic tension-type headaches are common and often respond to physiological approaches to correct imbalances in refractive error, dental alignment, or cervical alignment. Pharmacologic treatment with nonsteroidal anti-inflammatory agents and muscle relaxants are often of benefit in treatment of episodic pain. For chronic tension-type sufferers, prophylaxis with TCAs is effective. Increasingly, the use of biofeedback, acupuncture, and physiotherapy are being utilized for both episodic and chronic tension-type headache control. Trials of Botox® for treatment of tension-type headaches have proved unsuccessful (3). Cluster headaches are severe, unilateral, retro-orbital, and invariably described by patients as a searing, burning pain behind one eye. The headache pain lasts from 15 to 180 minutes and recurs in clusters, often at the same time each day. Cluster patients present very differently from migraineurs. They may pace in an agitated fashion in anticipation of the next episode. The patient often tries to relieve pain by putting pressure on the orbit or even striking the side of the face to provide distraction from the pain. The migraineur, on the other hand, is very sensitive to movement and stimuli. Treatment. Episodic cluster can be treated effectively with a variety of abortive agents. Ergotamine tartrate or sumatriptan injection, with or without inhalation of 100% oxygen (7 L/min), is highly effective. Intranasal lidocaine (4% solution) may abort a cluster episode, and steroid pulses have been effective in suppressing bouts of cluster attacks. Chronic cluster headaches (regularly occurring attacks) may respond well to prophylaxis with methysergide, verapamil, lithium, or high-dose NSAIDs such as indomethacin. Increasingly, patients are presenting for medical attention with symptoms of vague, diffuse headache that is present upon waking and lasts throughout the day. Often the patient will state that the pain may worsen at times into pain that has migrainous or tension-type features. When analgesic medications are taken more than two to three days weekly, a superimposed headache may develop that will be responsive only to the medication that is, unfortunately, now causing it. Medications thought to cause analgesic rebound if used too frequently include the triptans, ergotamines, narcotics, vasoconstrictors such as pseudoephedrine, and caffeine-containing medications (4). The treatment in these cases is to withdraw the patient from the offending medication for a period of time while beginning a preventative medication. Although rebound headaches are active, preventative medications will be ineffective. The most difficult issue is to find pain relief for the patient while removing the offending medication. Some patients respond to prednisone tapers of 10 days, while a newer approach is to use a naratriptan taper for 90 days (5). Preventative medications may then be initiated either for migraine (most commonly) or for tension-type headache. The primary effort is to prevent the headache frequency from increasing once again, as nearly all analgesics, if used too frequently, have been implicated in this type of headache. Table 1 describes common secondary headache syndromes and the recommended evaluation for each. A summary statement from The American Academy of Neurology in 1994 supports neuroimaging in patients with atypical headache patterns and a history of seizures or focal neurologic signs or symptoms (6). Neuroimaging is not thought to be warranted in adults with a prior diagnosis of migraine, no recent change in headache pattern, and a normal neurologic exam. Under most circumstances, a computed tomography (CT) of the brain will suffice to rule out acute causes of headache as well as to locate mass lesions and increased intracranial pressure. If the focus of pain is thought to lie in the posterior fossa, however, magnetic resonance imaging (MRI) will be the most helpful imaging tool. For example, cases of Arnold-Chiari 1 malformation will often be missed on routine CT of the brain, because the sagittal image of the posterior fossa is needed to adequately evaluate this. The Arnold-Chiari malformations are characterized by extension of posterior fossa contents through the foramen magnum. Chiari 1 malformation is currently defined as extension of the cerebellar tonsils more than 5 mm below the foramen magnum (7). Extension of the cerebellar tonsils up to 3 mm may be found in the normal population (8). Figure 1 demonstrates mild cerebellar tonsillar herniation that would be considered within normal limits. Although Chiari malformations are congenital, symptoms often do not manifest until the third and fourth decades of life, or even later. Patients may present with headache, lower cranial nerve palsies, central vertigo, ataxia, or dissociated anesthesia of the trunk and extremities (7). Definitive diagnosis is made by MRI that shows the compressed tonsils extending through the foramen magnum into the cervical subarachnoid space (9). In this author's experience, the MRI of a mild Arnold-Chiari 1 malformation may be read as normal. When a cerebrospinal fluid (CSF)-gated flow study is employed to evaluate pressure in the CSF space at the base of the brain, one may often find an increase in the local pressure that results in recurrent headache and posterior fossa symptoms. The following case is that of a 40-year-old white male presenting with intractable headaches, diagnosed as tension-type headache at the age of seven. This diagnosis should raise concern, as tension-type headache is not typically diagnosed at an early age unless ocular strabismus is the cause. Additionally, these headaches would not remain persistent despite multiple standard therapies. The patient had undergone numerous CT scans of the brain to identify the etiology; these had returned read as normal. 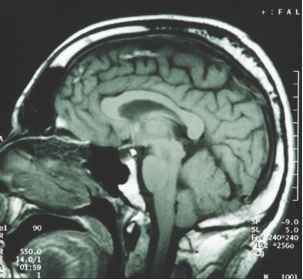 When an MRI of the brain was ordered, the diagnosis of mild Arnold-Chiari 1 malformation was made. Figure 2 demonstrates extension of the cerebellar tonsils into the foramen magnum at the length of approximately 5 to 6 mm. The headaches were treated with high-dose indomethacin and a prophylactic of valproic acid. No lower cranial nerve findings have arisen, nor has any significant hydrocephalus. The patient is seen on a routine basis with an MRI scan every two years to evaluate for hydrocephalus and/or syrinx formation. He has continued to do well. 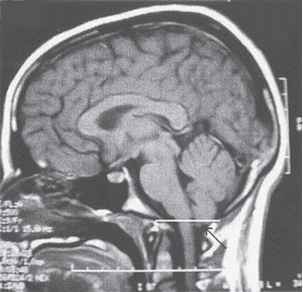 *MRI of the brain is suggested when lesions of the cerebellum or brainstem are suspected. Abbreviations: SAH; SLE; CSF, cerebrospinal fluid; LOC; HTN; N/V; CT, computed tomography; MRI, magnetic resonance imaging; LP; ESR; CBC. FIGURE 1 Tonsillar herniation within normal limits. Sagittal T1 -weighted magnetic resonance image showing tonsillar herniation of 3 to 4mm. 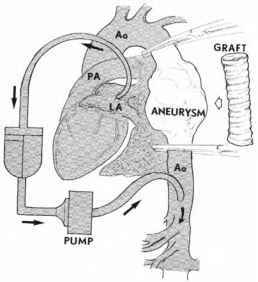 FIGURE 2 Arnold-Chiari I Malformation. Sagittal T1-weighted magnetic resonance image showing tonsillar her-niation of 6 to 7 mm. The goal of the first physician-patient encounter in the evaluation of headache is to rule out the 2% to 3% of cases that represent secondary or organic headaches. The most common organic headaches in otolaryngology practice have been summarized, with emphasis on analgesic rebound headache presenting as sinus headache, and Arnold-Chiari 1 malformation presenting as headache with vertigo and ataxia. Primary headaches have been described with an overview of diagnostic and treatment strategies. At UCSD, a close referral relationship with the Headache Clinic has helped in efficiently identifying the infrequent organic headache as well as identifying and treating the more common primary headaches that may present atypically. 1. Headache Classification Subcommittee of the International Headache Society. The international classification of headache disorders. 2nd ed. Cephalalgia 2004, 24(suppl 1):9-160. 2. Mehle ME, Schreiber CP. Sinus headache, migraine, and the otolaryngologist. Head Neck Surg 2005; 133(4):489-496. 3. Boudreau G. Treatment of chronic tension-type headache with botulinum toxin: a double-blind, placebo-controlled clinical trial. Cephalalgia 2005; 25(11):1101; author reply 1101-1102. 4. Couch JR. Rebound-withdrawal headache (medication overuse headache). Curr Treat Options Neurol 2006; 8(1):11-19. 5. Sheftell FD, Rapoport AM, Tepper SJ, et al. Naratriptan in the preventive treatment of refractory transformed migraine: a prospective pilot study. Headache 2005; 45(10):1400-1406. 6. Practice parameter: the utility of neuroimaging in the evaluation of headache in patients with normal neurologic examinations (summary statement). Report of the Quality Standards Subcommittee of the American Academy of Neurology. Neurology 1994; 44(7):1353-1354. 7. Solomon D. Distinguishing and treating causes of central vertigo. Otolaryngol Clin North Am 2000; 33(3):579-601. 8. Aboulezz AO, Sartor K, Geyer CA, et al. Position of cerebellar tonsils in the normal population and in patients with Chiari malformation: a quantitative approach with MR imaging. J Comput Assist Tomogr 1985; 9(6):1033-1036. 9. Pokharel D, Siatkowski RM. Progressive cerebellar tonsillar herniation with recurrent divergence insufficiency esotropia. J AAPOS 2004; 8(3):286-287.